Washington Secretary of State Kim Wyman serves as the chair of the CSG OVI Policy Working Group. More than 60,000 military and overseas voters consider the state of Washington their home and count on her office for assistance. 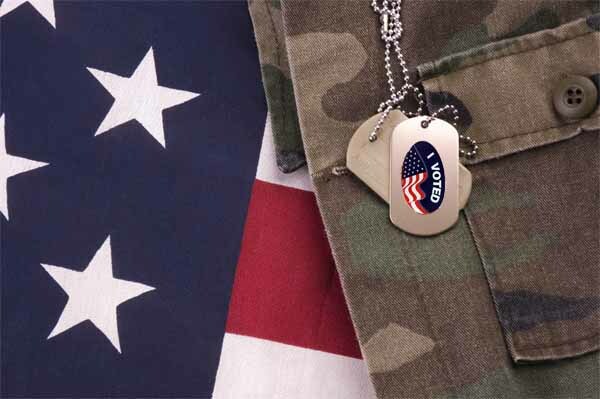 “I participated with my colleagues to study and discuss online voter registration as it relates to military and overseas voters,” said Vermont Secretary of State Jim Condos. “The CSG OVI Policy Working Group is a great example of a small group of state and local election officials working cooperatively together to determine suggested best practices to improve military and overseas voting based on our collective election experience, various state laws and practices, extensive research and focus the areas where we can make the most impact,” said Lance Gough, executive director of the Chicago Board of Election Commissioners. Kevin Kennedy, director and general counsel of Wisconsin’s Government Accountability Board served on the Federal Post Card Applications, or FPCA, subcommittee. * Mr. Michael Vu–Registrar of Voters, San Diego County, Calif. The CSG effort is an ongoing four-year cooperative project with FVAP that launched in late 2013 “to improve the return rate of overseas absentee ballots from service members and U.S. citizens abroad.” It is led by Kamanzi Kalisa and Michelle Shafer, two familiar faces with lots of contacts and experience in the election administration field. The current policy recommendations will also be included and augmented in a larger report to be released in the first quarter of 2016 while the separate Technology Working Group will be issuing its recommendations in December 2016 at CSG’s national meeting. The full output of the OVI’s work will be released as the project wraps up in 2017. 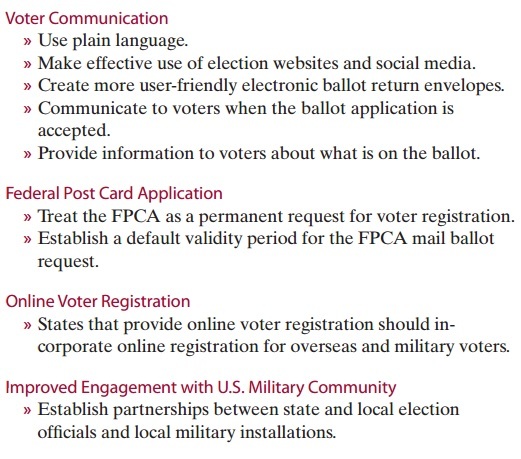 This is a tremendous resource for the field that will allow practitioners to share best practices in order to ensure that Americans have an opportunity to cast a timely and valid ballot no matter where they are in the world. Thanks to everyone involved for their contributions and stay tuned! Be the first to comment on "CSG Overseas Voting Initiative Releases Policy Recommendations"